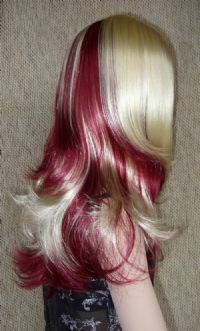 Vanity Wig .. Cranberry and Blonde! Vanity Wig .. Cranberry and Blonde! Vanity Wig .. Cranberry and Blonde! 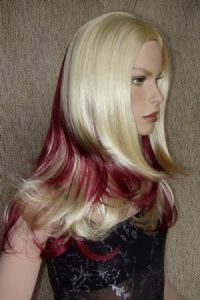 Quality wig that feels like realy hair! This has a 4 inch skin top so you can part this in the center, or off-centered. This has a very silky texture and is about 25 inches total. From the Wonderful You collection of Wig America.